As you can read in that article, two repositories are available to connect and process the data from the Xiaomi sensors. 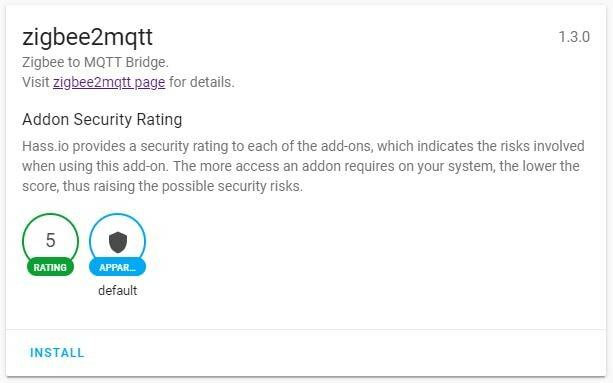 Additionally, Zigbee2mqtt can be connected to Hass.io. Well, I didn't want to use HassOS (the OS on which hass.io runs), but I wanted to use Hass.io running on Raspbian, otherwise with Home Assistant running as an application, the add-ons were not available as in Hass.io (Docker based) and I didn't get the possibility to run the hassio-zigbee2mqtt official container. because it deploys a container in which the Home Assistant application runs, but the Hass.io functionabilities are not available. Then, I looked for the Hass.io installation scripts and I found a way to run Hass.io on Raspbian (if you are a Home Assistant expert and you know the right name for "this type of running" of Home Assistant, please leave me a comment). After executing the usermod line, reboot the Raspberry to get the pi user added to the docker group. Otherwise, you need to always use sudo every time that you use the docker command. More information about Docker on embedded systems is available here. The following deploys Home Assistant dockerized. Actually, it creates a service that deploys the hassio-supervisor container, which then pulls and runs the raspberrypi3-homeassistant container. The first container launched is, as I mentioned, armhf-hassio-supervisor. This pulls and deploys the raspberrypi3-homeassistant container (because of the option -m raspberrypi3). After running the hassio_install.sh file, you can access Home Assistant pointing to http://<ip-address>:8123. Home Assistant will ask you to set up a username and password as usual. Go to hass.io and add the https://github.com/danielwelch/hassio-zigbee2mqtt as repository (see Fig. 1). Look for the Mosquitto broker add-on and install it. Then, look for the zigbee2mqtt add-on and install it (see Fig. 2). You need to have the USB-ZigBee dongle connected before you start the add-on. The permit_join option should be set to true to pair the ZigBee sensors. Once you joined all devices, set permit_join to false for security reasons. Every time you change a setting, you need to restart the add-on. Go to Configuration->Integrations, and configure the MQTT add-on selecting the Enable discovery option (see Fig. 3). Press the link/reset button on the Xiaomi sensors to pair and discover them. Once a device is discovered, you can change the device_id with a friendly name using the web interface: Go to Configuration->Entity Registry to do that (see Fig. 4). The sensors should be available on the Overview page as in Fig. 5. Once you joined all devices, do not forget to set the permit_join variable to false! and restart the add-on. This stops the armhf-hassio-supervisor container and then you can stop all the other running containers. Otherwise, the containers will start automatically after you stop them. This is an extension to the #ZigBee: Xiaomi Sensors using Raspberry Pi (without Gateway!) article. 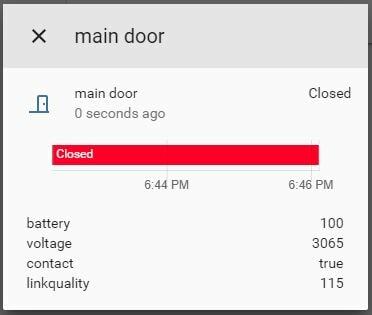 In this article, I integrate the Xiaomi sensors to Home Assistant without any Xiaomi gateway, cloud or smartphone application. There is also no need to install HassOS, and it was possible to run Hass.io on Raspbian. If you are curious and you want to see how many containers are running, check Fig. 6!